Ideal for rigging bait! Chromed Steel; nice needles but in time will rust. 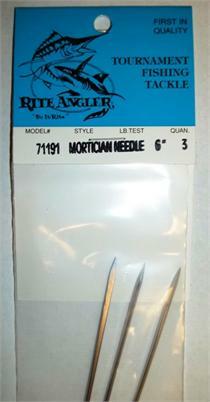 Economy style stainless steel bait needle. Ideal for rigging bait!